Joan Therese (Waszak) Golembeck was born on Oct. 9, 1933, one of eleven children, to Andrew and Mary (Sucharski) Waszak in Blue Island, IL. Joan graduated from Eisenhower High School in 1951. Joan then worked as an executive secretary at Goldblatt's in downtown Chicago, IL. She was very proud of her exceptional secretarial skills. On Oct. 16, 1954, she married Gerald Golembeck at St. Isidore Catholic Church in Blue Island, IL. They had two children. Jerry and Joan moved to MN in 1973 and finished raising their family in Lake Elmo. After retiring, they moved to Alexandria, MN where they enjoyed the frequent company of family at their home on Lake Mary. Joan was very proud of her Polish heritage. She loved to cook for family, friends, and neighbors and taught her children and grandchildren how to make several traditional Polish dishes as well as many family favorites. She loved sharing stories of her childhood and all the grandchildren would gather around the table to listen to her. Holidays were very special to her and she passed on many traditions to her family. She loved to have friends and neighbors over for dinner and cards and she always had several desserts in her freezer for unexpected guests. Joan died at the Courage Cottage in Morris, MN on October 21, 2018 at the age of 85. 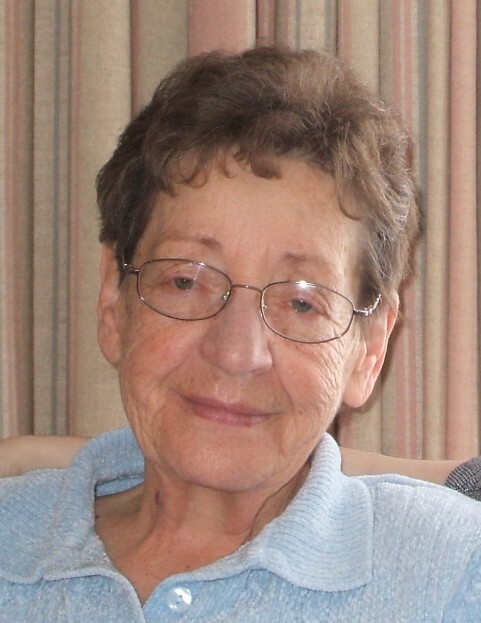 She is survived by daughter Sandra (Michael) Korth, son James (Kay) Golembeck, grandsons Andrew Korth, Matthew Golembeck, Thomas Golembeck, John Golembeck, granddaughters Rebecca Millard and Laura Korth, great-grandsons Gabriel Korth and Aidan Millard, and sister Dorothy Waszak. She was preceded in death by husband Gerald, parents Andrew and Mary Waszak, and siblings Stanley Waszak, Chester Waszak, Sally Butowski, Joseph Waszak, Sylvia Palcu, Sophie Kerkla, Eleanor Porozinski, Bruno Waszak, and Leonard Waszak. A Mass of Christian Burial will be held 10:30 AM on Thursday, October 25, 2018, at St. Mary’s Catholic Church in Alexandria. Visitation will be held for one hour prior to the service on Thursday.